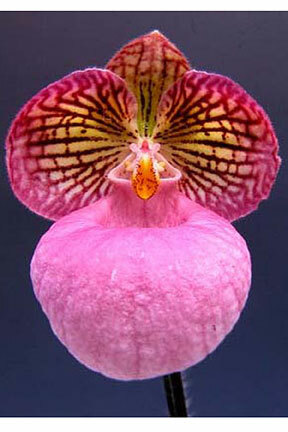 A new strain of the highly coveted Paph. micranthum from North Vietnam and south of the Western China border ! 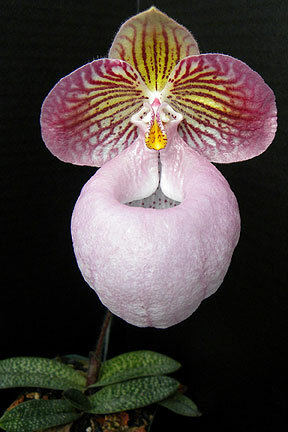 This particular strain produces pouches that are shorter in length than is typical for Paph. micranthum, giving the flower a much rounder more pleasing shape, the color ranging from soft cotton candy to a dramatic rich pink. Its leaf span is also shorter than is typical for this species. For a more balanced rounder flower with more distinctive color, this is very Highly Recommended !